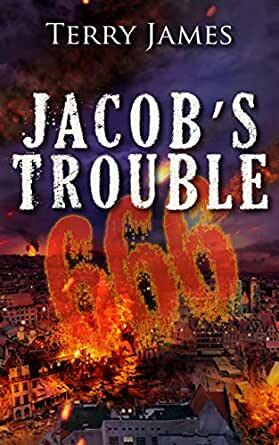 Jacob's Trouble 666 - Kindle edition by Terry James. Religion & Spirituality Kindle eBooks @ Amazon.com. Paradoxically, Jacob's horrific circumstances dynamically unfold through a compelling love story of many dimensions. Jacob Zen ambitiously climbs toward a top position within the US government, only to have his plans explode into chaos. He reacts through computer technology with INterface, human-kind's ultimately evolved beast-state government of absolute control. Drug-induced flashbacks plunge him into that past time when there was yet hope--while life with Karen promised a future filled with great hope and expectation. When Jacob's life flies apart in one terrifying instant, events viciously sweep him toward a savage era beyond comprehension or endurance. He struggles mightily through his nightmarish world while powerful forces push and pull at him as he tries desperately to find Karen, the love of his life, who has been taken from him by the monstrous dictatorship. Yet other forces even more powerful influence his every thought, his every action, and propel him unerringly through the vortex of history toward some seemingly predetermined destination. A novel for those who want a fascinating look into the dawning millennium and beyond. A deeply intertwined mystery of international intrigue, clandestine geopolitical manipulations and murderous betrayals . William Terry James, considered an authority on prophecy in the nonfiction field, now applies his research and expertise to the novel. The result, "Jacob's Trouble", presents a dynamic mix of fact and fiction that smoothly moves the reader through a powerful conclusion. James, who lost his eyesight in 1993 due to a retinal diesase, continues to write prolifically. 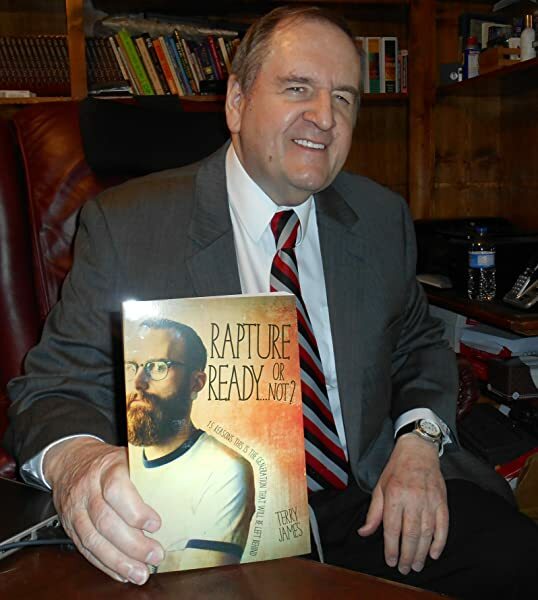 His nonfiction works include a four-part series, "Essays in Apocalypse", as well as the books, "Foreshocks of Antichrist", Forewarning", and the recent "Foreshadows of Wrath and Redemption". He has worked in the public relations/marketing field for more than 25 years. As public relations director for several companies, James conducted press conferences and wrote and produced various forms of business communications for numerous clients. Additionally, James worked as creative director for advertising agencies and as a press liaison for a state agency. He received his education at Arkansas Polytechnic Institute, Memphis Academy of Art, and the University of Arkansas at Little Rock, where he studied Journalism/Advertising and Political Science. James is often consulted through interviews by national media for his views on world issues and events in their possible prophetic context. He has been a guest on numerous radio and television programs throughout the US and Canada. I enjoyed Jacob’s trouble. Having read a number of books of this genre, I especially enjoyed comparing them and this author has done a good job of blending scripture with his fictional account. He really hit the sin nature of man and the delusion of the mind. Tim LaHaye and Jerri Jenkins can retire now. With such a huge interest in apocalyptic fiction these days (witness the 'Left Behind' series by the afore-mentioned authors, the popularity of shows like 'the X-Files', and movies like 'The Matrix' and 'End of Days'), this thriller should get alot of well-deserved attention. A politico-military world government that would scare Orwell and Huxley, lots of supernatural wierdness, and non-stop action set this novel a notch above the others. Most fiction in this setting tends to follow the biblical book of Revelation so closely as to make it predictable, or it follows some convoluted idea of a quasi-spiritual new age. Both idea's make for cliche' reading at this point. Jacob's Trouble instead focuses on the life of a government operative, Jacob Zen, in his quest to make sense of the changing political scene around him and recover the life he once knew. The scenes buzz back and forth between past and present, taking you deep into the thoughts of Jacob as he agonizes over his lost girlfriend Karen. His determination to get her back and expose the truth leads him even deeper into danger and the workings of the new world order. This is definitly one of the most character driven books I've read in quite awhile. Although told in third person, you feel as if you're actually seeing a new, terrible world through the eyes of Jacob Zen. The author does an excellent job of casting Jacob's woes upon the reader, pulling you into his plight and searching for solutions. The plot becomes increasingly deeper and more twisted as the book continues on, so if you're a casual reader- hang on! It's worth the ride. I highly recommend this one for anyone into Clancy's D.C. novels, or King's futuristic horror (i.e. The Stand). If you're a LaHaye/Jenkins fan- you ain't seen nothin' yet. From the first to the last turning page, the book was difficult to put down. It captured three and one half years of the Tribulation with mystery, intrigue, and a compelling love story. A captivating weaving of facts and possibilities. I only hope William Terry James is busy writing a a sequel that will take us through the last three and one half years of the Tribulation.